1.) 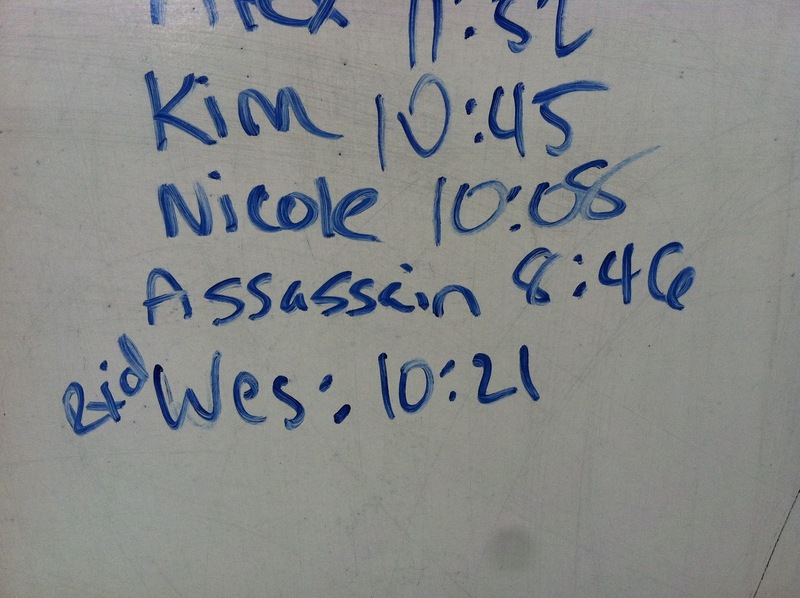 Even though I'm not training regularly (one WOD a week, max, mostly low intensity), I haven't lost my stamina/endurance. 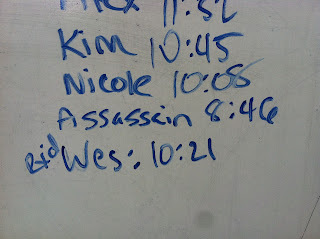 I definitely had more gas in my tank at the end of the WOD. 2.) My right side is hella strong. 3.) Wall Push ups are deceivingly difficult. 5.) I can do strict L-sit Pull ups!!!! On the RINGS, too, whassup!!! 6.) Even though I haven't trained any heavy barbell work in almost 2 months, I'm still maintaining my strength. I deadlifted 185# 1 rep today and it felt frickin' easy. I can't wait to start lifting 225!!! Which is my next goal.